From bathroom sinks and kitchen appliances to New York’s Chrysler Building and St. Louis’ Gateway Arch, the world sometimes seems like it’s covered in stainless steel. And why not? The material is not only sturdy and versatile but also “stainless.” At least that’s what the name implies. Stainless steel is a family of materials that gets its handle from corrosion- and oxidation-resistant properties that protect it from rust and unsightly blotches. Generally, the various steels are a mixture of iron and at least 10.5 percent chromium (sometimes rounded to 11 percent by engineers). When the latter chemical element is exposed to oxygen and moisture (for instance when a stainless steel pan is nicked or dinged), it produces a thin oxide film that coats the product. This self-repairing feature of stainless steel ensures the object always looks smooth and shiny. Various European and American metallurgists claim to have fathered this wondrous material. We do know that Krupp Iron Works in Germany created an acid-resistant steel as early as 1908, which was used for the hull of a yacht. Two other Germans, P. Monnartz and W. Borchers, discovered the relationship between chromium content and corrosion resistance — that metal containing at least 10.5 percent chromium had a greater resistance to corrosion. Meanwhile, American Elwood Haynes patented one type of stainless steel precursor in 1911, and English researcher Harry Brearley developed a similar material around the same time. After a four-year dust-up in which Haynes successfully opposed Brearley’s attempt to patent his version of the steel, the two pooled resources to market their wares as the American Stainless Steel Company. These and other stainless metals found their way into cutlery, airplane parts, golf clubs, and other items almost immediately. But not all stainless steel is created equal. There are four main types of stainless steel, with materials classified by structure and composition. The most common variety is austenitic; 65 percent of the stainless steel produced falls in this category. Austenitic steels can be found in products ranging from cutlery and cookware to automotive trim and industrial applications. The material contains at least 16 percent chromium, no more than 0.15 percent carbon and usually includes nickel or manganese for added durability. Ferritic stainless steels usually contain up to 27 percent chromium, as well as aluminum or titanium but have little or no nickel. That means that while these materials are highly resistant to corrosion, they are less durable than their austenitic cousins. Ferritic steels are more affordable than austenitic varieties and are commonly used in mufflers, exhaust systems, kitchen counters and sinks. Martensitic stainless steels are less corrosion resistant than austenitic and ferritic varieties, but are noted for their extreme strength and durability. The material contains 12 to 14 percent chromium, along with small amounts of molybdenum (0.2 to 1 percent) and carbon (0.1 to 1 percent). These steels also contain little or no nickel (less than 2 percent). 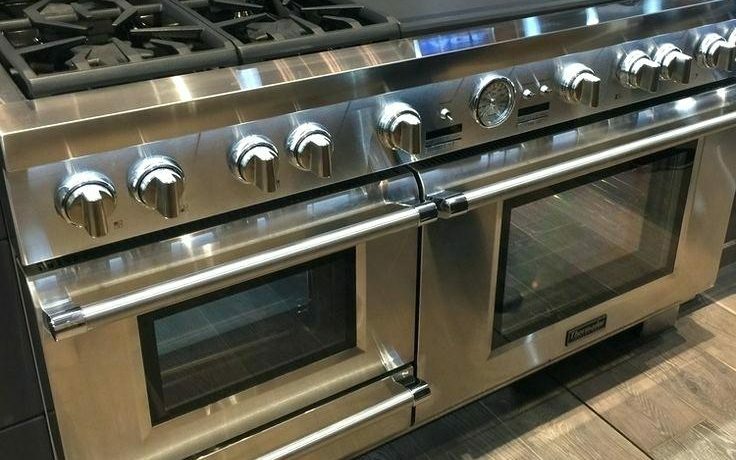 Martensitic stainless steels are magnetic and are often used in products where this feature is useful, like a kitchen backsplash to which a spice rack or other metal object can be attached without using fasteners. Finally, duplex stainless steels combine the benefits of austenite and ferrite to provide enhanced decay resistance and beefed up strength and durability. Metallurgists typically look to create a mix that’s half austenitic and half ferritic. The result is a material that features more chromium and less nickel than is found in pure austenitic steels (about 22 to 25 percent chromium and 5 percent nickel, as well as a high level of molybdenum. These steels are primarily used in chemical plants and piping applications. You may have noticed our use of the term “resistant” when referring to these stainless steels’ capacity for avoiding blemishes. So is the material just stain-resistant or completely stain-proof? 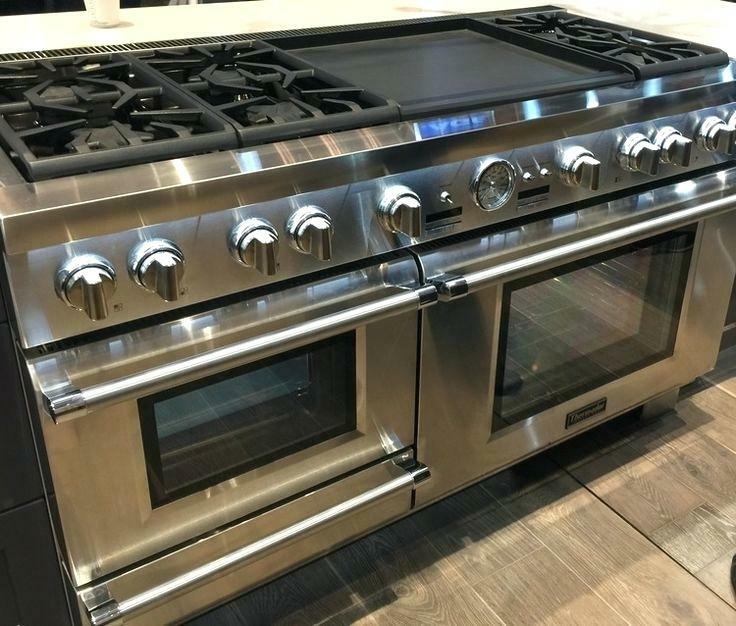 Despite the hardy protection it affords users, stainless steel is more “stain less” than “stainless.” In other words, while the material is highly resistant to discoloration, blemishes and other imperfections, it is not completely impenetrable. Just look at the Gateway Arch, which is starting to show its age with rust and decay as it approaches five decades of welcoming tourists to St. Louis. The protective layer of film covering a stainless steel object can break down over time, leading to corrosion and pitting. In addition, chemicals like chloride, hydrogen and hydrogen sulfide often cause the film to stress and crack. The level of rust resistance provided by a particular steel depends largely on the materials used to create it. The more chromium, the more corrosion protection. The sturdier stainless steels also feature at least 8 percent nickel, which provides further defense against tarnish. For household users, it is important to understand that many metals advertised as stainless steel are actually stainless steel plated. The plate is corrosion-resistant, but is susceptible to damage if cut or scratched deep enough to reach the underlying material. Because the plates can also wear off over time, buyers should clarify whether a particular product is made completely of stainless steel or simply plated. Whether plated or not, your stainless steel appliances and other products need to be cleaned. Most of the time good old-fashioned soap and water will do the trick. For tougher stains, professionals recommend a variety of household remedies. A couple dabs of olive oil or window cleaner can remove most of those pesky fingerprints and smudges, while white or cider vinegar will restore shine. Don’t use steel wool pads or harsh cleansing powders as they will scratch the surface. If you need to remove burnt-on food from your stainless steel pan, let it soak in warm water and then clean it with baking soda and a nylon scouring pad.